So what exactly is a hybrid car? 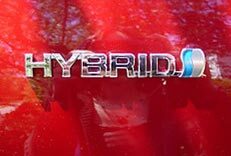 Here's a hybrid car definition: A hybrid car is a car which can run on two or more fuel sources. Things get rather more complicated when you get down to the details about hybrid cars. Hybrid cars are becoming more widely available and more popular. Now, in 2009, with the facts about carbon emissions and climate change becoming widely accepted, most motor manufacturers are suddenly jumping on the hybrid car bandwagon. As the market expands there are more used hybrid cars available, as well as new models but older models may not always be so desirable for a number of reasons. So here are some hybrid car facts to help you choose the best in motoring for yourself and your family - and the best for the planet, too, of course. The word hybrid is usually applied to plants and animals which have been cross-bred between species to produce something new. Plant breeders typically cross different plant varieties to produce better stock which incorporates some of the best of the different varieties used. Animals, too can be crossed to create new types (e.g Ligers and tygons - lion and tiger crosses). Some of these hybrids do occur naturally, others are deliberately created by human intervention. What has happened with hybrid cars has been a deliberate crossing of fuelling technology to get the best from fuels and to make the resultant cars more efficient. Hybrid cars are far from new. the first hybrid was built over a hundred years ago - the Mixte built by Porsche. The Mixte even won a car rally. It used a gasoline engine to power a generator which ran an electric motor. Dual-fuel vehicles were not uncommon in the 1930s and 40s. Many buses and other heavy transport vehicles had systems which allowed them to run on petrol or diesel. Most modern hybrids are HEVs - Hybrid Electric Vehicles. The technology to power the hybrids of today really began in the 1970s. Victor Wouk is usually seen as the "Godfather" of the hybrid car after he developed a hybrid drive-train for a Buick. Progress stalled when the US EPA ditched the Federal Clean Car Incentive Program in the mid seventies. The next technical innovation which was crucial to modern hybrid design was the regenerative braking system. Regenerative brakes harvest electrical energy from the process of braking. The energy is used to recharge the battery and reduce fuel consumption. David Arthurs developed the first one in the mid 1970s. He was able to reach 78mpg in a modified Opel GT sports car. Since the 1990s hybrid cars have become a viable alternative to standard petrol or diesel cars. Petrol (gasoline) prices are creeping up and the consensus is they are likely to continue rising. The world's oil deposits are limited and many pundits believe that the amount of extractable oil available is likely to decline over the next few years. This means ever rising fuel prices (supply and demand). So, the logical thing to do is to find good alternatives to gasoline as a fuel and to become more efficient in using gas. Hybrid cars offer very real fuel savings so they are increasingly popular with motorists. The first modern HEV hit the road in 1997. It was the Toyota Prius and ten years on it is still rated the best hybrid by many people. The Prius is probably the most well-known hybrid and is deservedly the leader in the field. The first Toyota Prius was the brainchild of engineer Takeshi Uchiyamada. It first went on sale in 1997. Sales of the Prius now total 829,000 vehicles - and counting! The Prius has won Car of the Year awards in Japan, the US and Europe and it gets five stars for safety from the European New Car Assessment Programme. It features continuously variable transmission between the power sources. This means that both the electric and gas engines are always engaged, so there is no shifting between power sources. Lower rolling-resistance tires are designed for reduced friction without impairing road grip. The drive motors have enough power to quickly spin the engine to optimal revolutions per minute (around 1,000) before the engine fires up. This avoids wear when the engine is going at very low RPM - a problem for most vehicles. The Prius also has a flexible resin gas tank. This reduces the amount of hydrocarbon emissions from petrol vapours. The Prius scores particularly well as an eco-friendly vehicle: The latest models are certified as an Advanced Technology Partial Zero Emission Vehicles (AT-PZEV). It is also classed as a SULEV - Super Ultra Low Emission Vehicle. Toyota's goal for the Prius was to reduce exhaust emissions and to be as energy-efficient as possible. Most people reckon they succeeded brilliantly but there's considerable dismay amongst environmentalists that Toyota still carry on producing all their other gas-guzzling models! What's next for the Prius? Toyota are currently road testing a plug-in version (which would make the car even cleaner in terms of NOx emissions) and there's also rumours that Toyota are developing a lithium-ion battery. In the medium distant future, Toyota is developing ever lighter, more fuel-efficient vehicles. They will be using carbon fibre and aluminium in their next generation of hybrid cars, in a bid to get fuel efficiency in the region of 90 mpg or more. The Honda Insight and Honda Civic have both been successful hybrid models. The Insight, a very small car, was first introduced to the US market in 2000. The Honda Civic hybrid has gone from strength to strength and next year's models deliver an estimated 45mpg and come with many very desirable features as standard. The new hybrid Honda Accord is a fairly powerful mid-sized car and is proving popular despite its relatively high fuel consumption (about 32mpg). The Honda Accord uses an IMA - Integrated Motor Assist - which helps the main petrol engine by adding electric power when possible. This means in practice, that the Accord is not as efficient as the Toyota Prius. Ford joined the party in 2005 when it introduced the Ford Escape hybrid to the US market. It was manufactured in only limited numbers and, as a high spec SUV, has a fairly hefty price tag (upwards of 30,000 dollars for some models). It has V6 equivalent engines and it is a "full" hybrid. It uses electronically controlled, continuously variable transmission (eCVT), which means that both the electric and petrol engines are continuously involved in power production. However, it can run on electric only for short periods. Fuel economy is good for a SUV: 36 mpg in city driving and 31 mpg on the open road. At the top end of the market is Chevrolet’s Silverado Hybrid, a gasoline-electric hybrid half-ton pickup and it comes with either 2 Wheel Drive or 4WD and has an extended cab. The fuel consumption is less than impressive at around 19mpg but you doubtless get a lot of truck for your money! Prices are around 32,000 dollars. An interesting aside: The people at Chevy are beginning to get serious about fuel economy. Next year's model will have tire pressure gauges as standard. If you keep your tires correctly inflated you get far better fuel economy. The new Lexus LS 600h (h for hybrid) is touted as a revolutionary, high performance car. This is the third hybrid offered by the company and is the result of 15 years of R & D.
This sleek, V8 engine behemoth has Electronically-controlled Continuously Variable Transmission (E-CVT). The drivetrain is reputed to give smooth, adaptable power with no perceptible "jumps" between the different power sources. It also boasts a new all-wheel-drive system which is designed to give superior traction and handling stability. Its CO2 emissions are low and NOx gases, too, but despite all the refined high-end technology it can only deliver 30 odd miles per gallon. The new Lexus is aimed at the premium end of the market and prices start at around 80,000 pounds (UK prices). For that money a lot of luxuries are included as standard, even a reclining passenger seat with footrests and buit-in back massager! Bentley, Mercedes-Benz SClass and BMW 7 Series are its natural competitors in the non-hybrid marques. The LS 600h represents a chance for big companies to show off their green credentials while still giving their CEOs and other high-flying staff luxury, high performance cars!